The complete genomic sequence of Cassava Ivorian bacilliform virus (CIBV) is described. 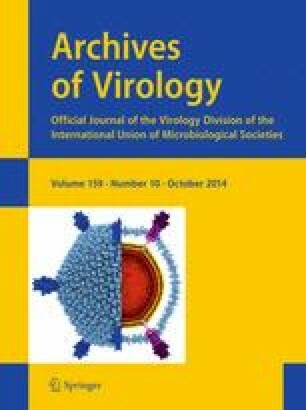 The virus has a genomic organization similar to that of pelargonium zonate spot virus (PZSV), the type member of the genus Anulavirus, but it is most closely related to a second, recently described, anulavirus, Amazon lily mild mottle virus (ALiMMV). The sequences reported in this manuscript have been deposited with GenBank as accessions KF742519 (RNA 1), KF742520 (RNA 2), and KF742521 (RNA 3). SWS gratefully acknowledges discussions with C. H. Scott (Purdue University) on some aspects of phylogenetic analysis.